Remember Hygge? That 2016 buzz word that was forced into the spotlight last year, the word on everyones lips that was making us buy more candles, create more dens and sit in the window and watch the rain falling, because Hygge. Okay, so the Danish feeling has since been somewhat butchered by the Brits, we just love jumping onto a new fad more than anything, and so what if we have? It’s meant making the most of being in the moment and enjoying the cosy times, rather than stressing over the fact that OMG it’s November. The year has gone, and I’ve still got 2567 untouched New Years resolutions. But alas, Hygge is always there to cocoon you and tell you everything is gonna be just quite alright. I’m talking ALL the cosy, cosiness there is. 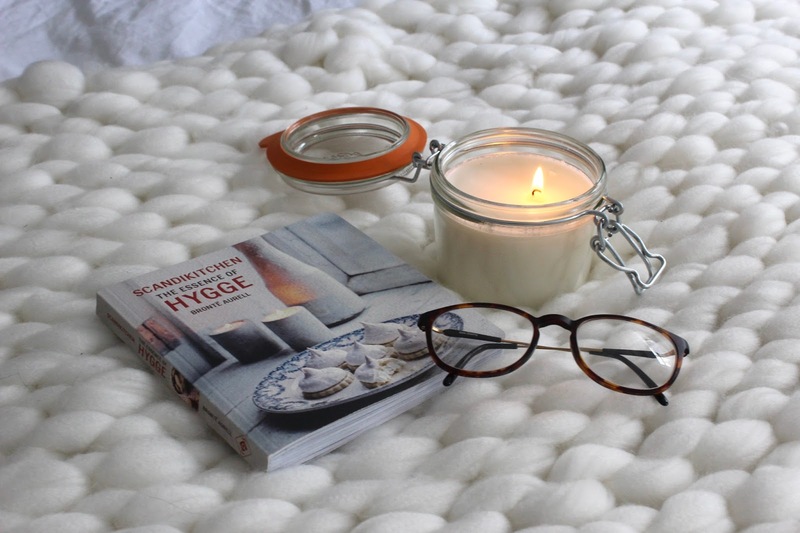 Hygge is ALL about being warm, safe and comfortable, with whatever you can find. My current obsession and hygge pal is this Arm Knitted Merino Wool Throw* from The Moody Otter Etsy store. The obsession is real. It reminds me of winter in Finland, pulling on thick, hand knitted socks and snuggling beneath a cosy throw. It’s honestly the thickest, warmest blanket come throw I’ve ever laid my hands on and it goes without saying that it looks the part in my bedroom, and for flat lays too. I love the Scandic feel to it, and I can already imagine snuggling down with it on my sofa, watching Home Alone and wrapping Christmas presents in the gentle glow of my fairy lights come December. If that’s not Hygge, I don’t know what is? So grab your blankets and cosy duvets and Hygge will arrive in no time. Oh, these huns <3 That gentle flickering of a flame can bring so much calm into your life, without having to do very much. I’m such a fan of tea lights, lanterns and gently scented candles for filling a home with smells that bring back those comforting memories. This Moody Otter Christmas Spice Winter Soy Candle* is basically Christmas. Gently spiced, it reminds me of childhood Christmas memories, mulled wine and everything magical. It’s such a big candle that it has plenty of burning time. I’m planning on lighting it every day in the lead up to Christmas to help set the scene. The thought brings me so much happiness, and I just cannot wait. Did I mention I can’t wait for Christmas? If you don’t have a wood burning fire, fairy lights are the closest alternative and I love nothing more than switching them on as the nights start to close in. Basically fill the whole house with them and spend your monthly electricity bill on batteries instead. Eco friendly and cosy. I always buy mine from Primark as they last forever. I switch them on as soon as I get home from work and it instantly feels cosier. Hygge is all about light, and the darkness we experience in winter should be embraced! There’s nothing better than snuggling down with a good book and getting absorbed into the story. This is why I love summer holidays so much as I find it’s the only time I give to read a book, and it’s always the time that I feel the most relaxed. It doesn’t have to be a 16748 page literature book either. I’m currently on such a hype of buying self help, feel good books for the coffee table that are not only great for Insta, but also for picking at and reading a few pages for a bit of down time. Nothing can help transport you to that cosy, safe feeling more than opening the pages of a good book. Weather and nature is central to Hygge, and those rainy winter days are something I absolutely long for. HELLO getting to stay in all weekend and not having to justify your reasons for it! Rain means getting to make dens, sit watching Netflix all day, having hot chocolates and watching the rain gently fall against the windows. Heaven. Either by yourself or with others is an absolute dream. But if it’s a cold winters morning with the most perfect sun, it’s all about those cold crisp walks soaking up the sun. Nothing feels as refreshing and as good for the soul as making the most of those tiny cracks os sunlight during the darkest weeks of the year. What are these I hear you say? I must admit they’re super rare in my house, but something I need to actively start doing. It really is as simple as putting your phone in a drawer for the evening and just enjoying being in the moment. Actually being able to pay attention to a TV programme, and eat your dinner without checking your Insta likes. I don’t need to tell you how much happier life can be without social media in your life, and my week without it taught me all that and more. I guess 2018 should be the year of doing this at least once a month at least. How hard can it be? When I leave the office on a weekday, that’s it. When I close the doors of my home behind me, I’ve escaped and my thoughts and worries of that day are left behind that closed door. That is so important to me. But it’s not possible without creating a cosy little haven that you love stumbling into after a long day. There’s nothing better than getting in, dropping your bag and sinking into the sofa. You’re home then. The day is done. 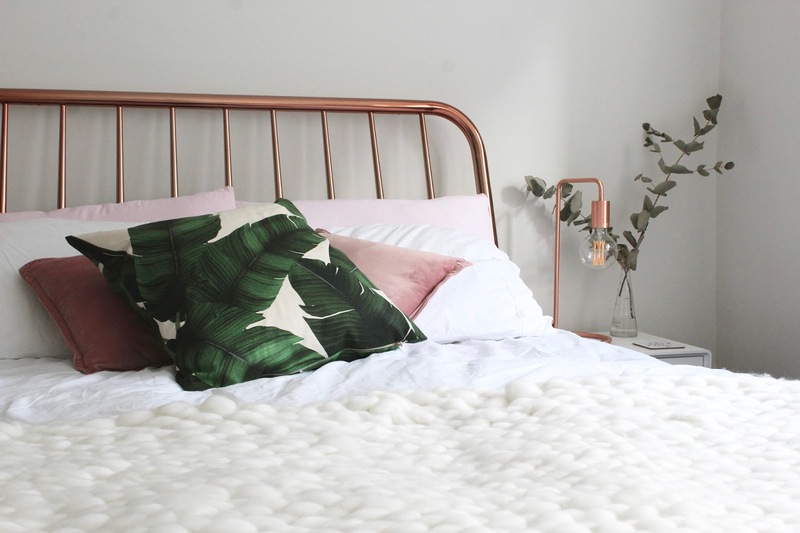 Creating that cosy place you like to call home is the quickest way to get hyggelig times every day. No way you style your home is right or wrong, or what you see on Pinterest. It’s what you like, what you find homely. Where minimalism might be someones dream, a cluttered home is someone elses. But candles, blankets and fairy lights really will help with that! 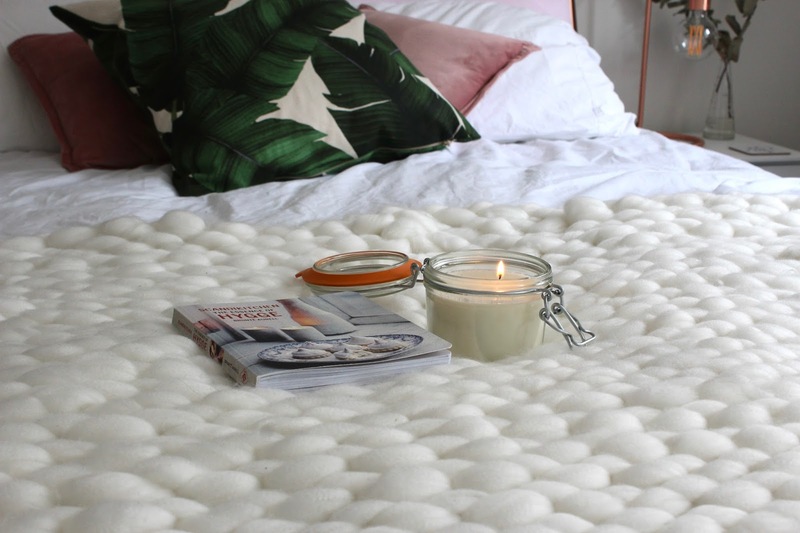 Fancy turning your home into a Hygge haven? Don’t forget to check out The Moody Otter Easy store for their luxurious throws, beautiful prints, candles and more! You can also get 10% off your first purchase from their store with the code NICOLE10 – thank me later! *Products marked with an asterix (*) have been sent to me for review. However, all opinions in this post are 100% my own.